Prestbury Marketing are great believers in supporting local causes, groups and charities. Listed below are the ones that we are currently supporting. 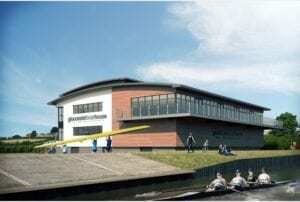 A home for Gloucester Rowing Club and Gloucester Canoe Club offering recreational and competitive rowing for all ages. Development of future Olympians with Hartpury Rowing Academy. A facility open to all schools, colleges and universities in Gloucestershire. A regional centre for adaptive rowing for the disabled. The appeal has already raised over £1.5 million and the building is now being used. Another £250,000 is needed to complete the next phase of the project and complete the fit out. We are pleased to be supporting this appeal, by working alongside our clients the Markey Group. 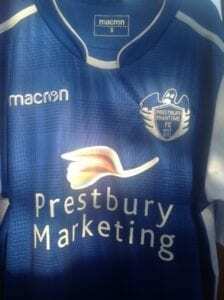 Prestbury Marketing sponsor one of the Prestbury Phantoms teams. The club was set up by parents to serve the local area, which has limited youth football facilities. Prestbury is a large village on the edge of Cheltenham, with a significant number of young families. Historically, all children interested in football had to join clubs outside the immediate area. Prestbury Phantoms AFC was born out of the discussions of a group of concerned parents who wanted to provide a local facility that families in the area could access more easily. Their aim is to build a community club, whilst improving the health and wellbeing of their children. Prestbury Marketing are delighted to be sponsors. Caring for Communities and People provide a wide range of services for children, young people, families and vulnerable adults, aimed at preventing homelessness, strengthening families and communities, and supporting independence. Based in Cheltenham, they operate across Gloucestershire, Worcestershire, Wiltshire and South Gloucestershire. CCP are also behind the Cheltenham Challenge, Hamper Scamper, Volunteering Gloucestershire and Involve Gloucestershire. Also watch out for news of their newest fundraiser SleepOut 2018.